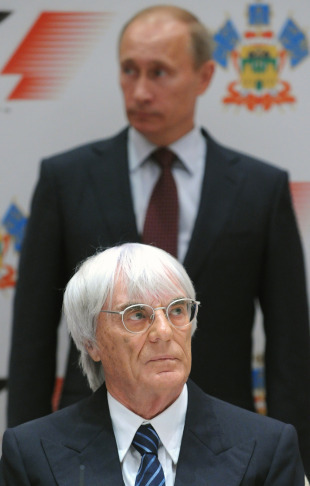 "I sincerely hope that the Formula One is going to play a big part in what I can see happening in Sochi," Ecclestone is reported as saying by CBSSports. "I'm sure the circuit can be a super circuit. It's all the things we need and wanted, and we are very happy. They are trying to build absolutely first-class facilities both for the Olympics and the Formula One." Putin said the infrastructure for the Winter Olympics would continue to be used by the return of F1 year-after-year and was happy to finally bring the sport to Russia after a failed bid to hold a race in Moscow in 2002. "Formula One isn't only the most prestigious competition in motorsport, but it also demonstrates achievements in car manufacturing," Putin said. "For us it's an important event because it would be possible to use effectively everything we have created for the Olympic Games in 2014." 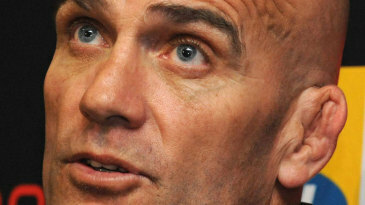 Reports suggest there is an option to extend the deal by five years to take the race through to 2024. Local paper Kommersant said the Sochi circuit would cost about $200 million. The deal is likely to be good news for Russia's first F1 driver Vitaly Petrov, who has received the support of his country's government and is currently in negotiations to stay at Renault next year. However, with the Indian Grand Prix taking the season to Ecclestone's self-imposed limit of 20 races per year, there are still questions as to which circuits will be replaced by Russia and the Austin-based US Grand Prix in 2012. A Rome Grand Prix and the return of the French Grand Prix are also possibilities for the future.